My husband and I were traveling by car through Germany’s black forest back in the late 1980s when we stopped to eat dinner at a restaurant. Neither of us speak German, although I did learn two phrases before leaving that stood us in good stead for the entire trip. “Two beers, please!” and “Do you have a double room available, with a shower?” Anyway, being in a small town where English was not spoken often and in our own desire to be adventurous, we pointed at two menu items and ordered. The place was packed with people, it had a very homey atmosphere with a lot of noise. The waitress brought my food and then had to return with my husband’s because it was a platter of pork ribs piled about a foot high. I kid you not. A man entering the restaurant at that moment said a few words to my husband in a very loud voice and then patted him on the back. We have no idea what he said, but the meaning was clear. Man up! 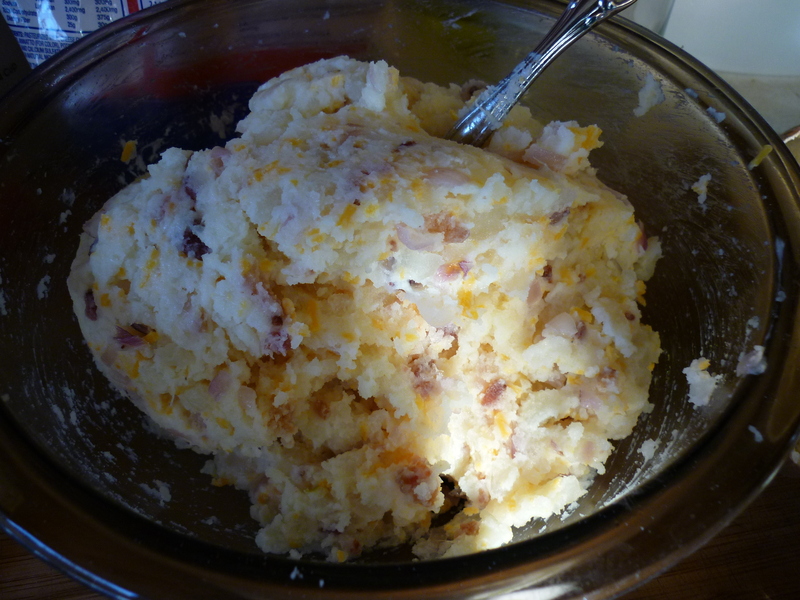 My husband did eat the whole thing. It was that good. This may well be my favorite dish. 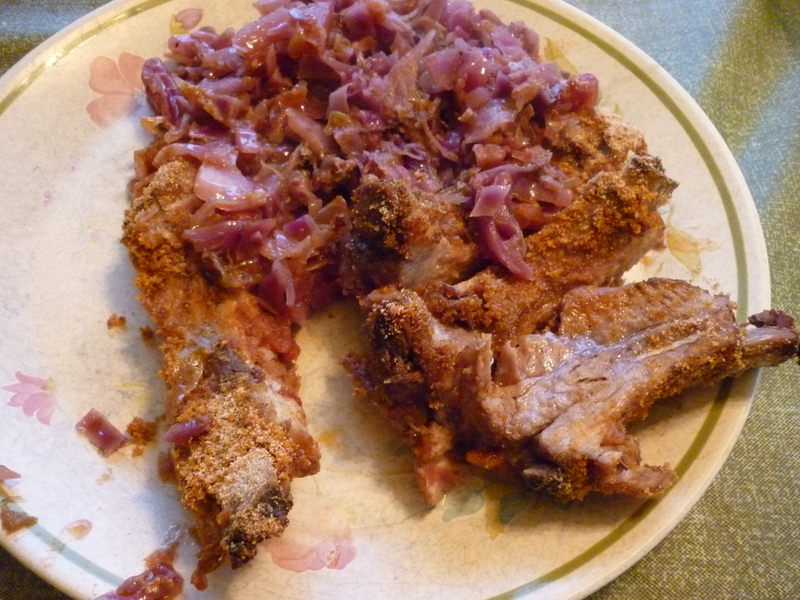 I think it’s the bread crumbs sprinkled on the ribs that adds that perfect texture. 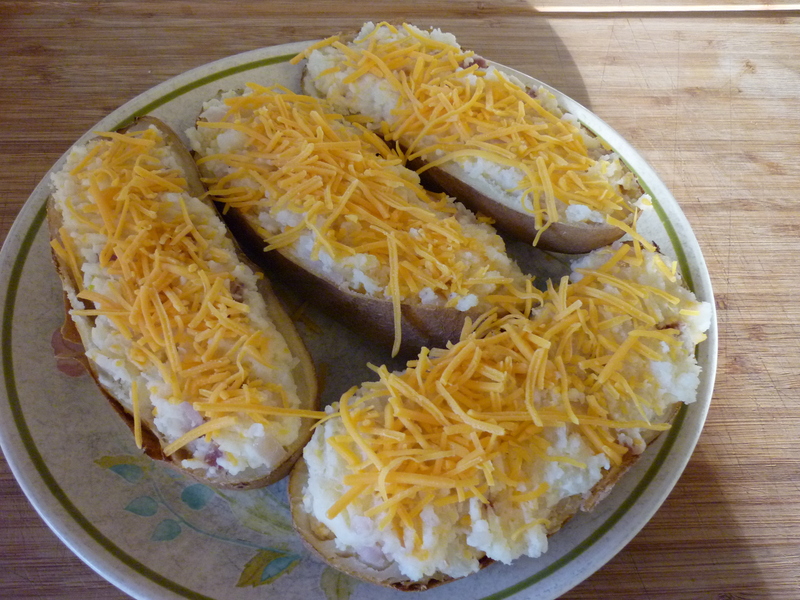 The recipe comes from Sunset Magazine’s November 1990 issue. 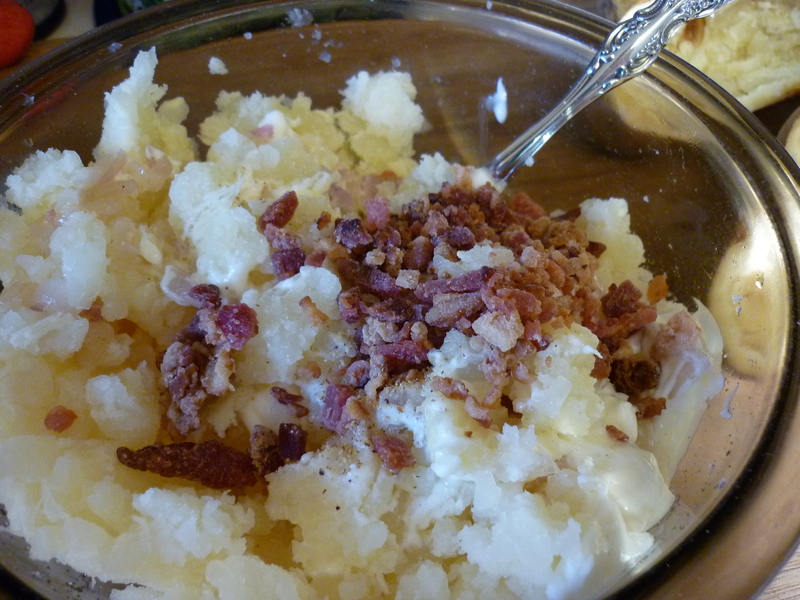 I often make my own sauerkraut and the flavors are sublime. If you don’t have homemade sauerkraut, then the next best is the kind found in plastic bags in the deli section of the grocery. Next best is the chilled kind found in the cooler. As a last resort go ahead and use the canned found on the shelf. 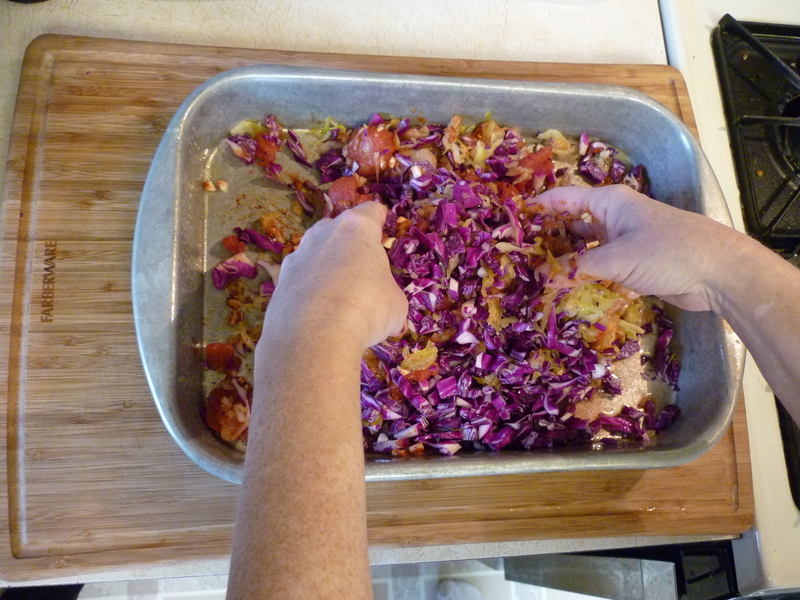 Sauerkraut is cabbage cured with salt. That’s it. 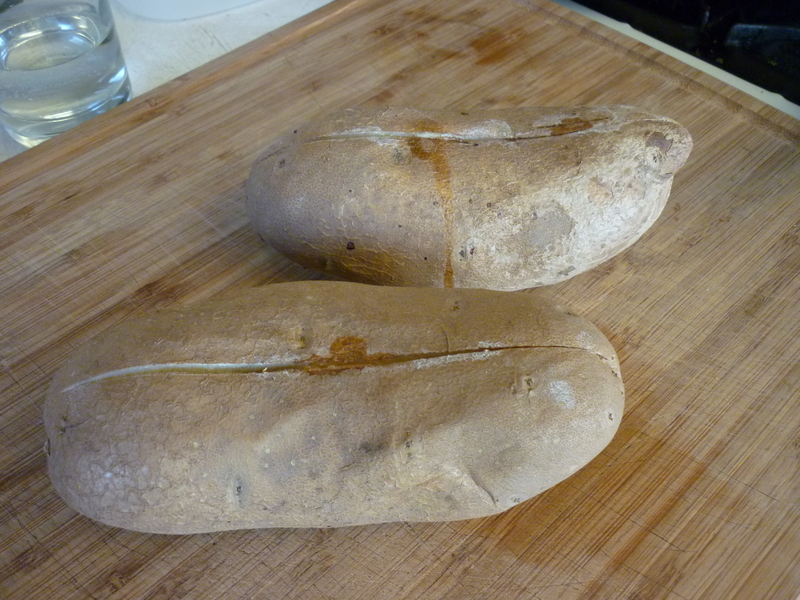 I usually serve this dish with spaetzle and a dark pumpernickel bread. Since there are only two of us, I didn’t include any sides. 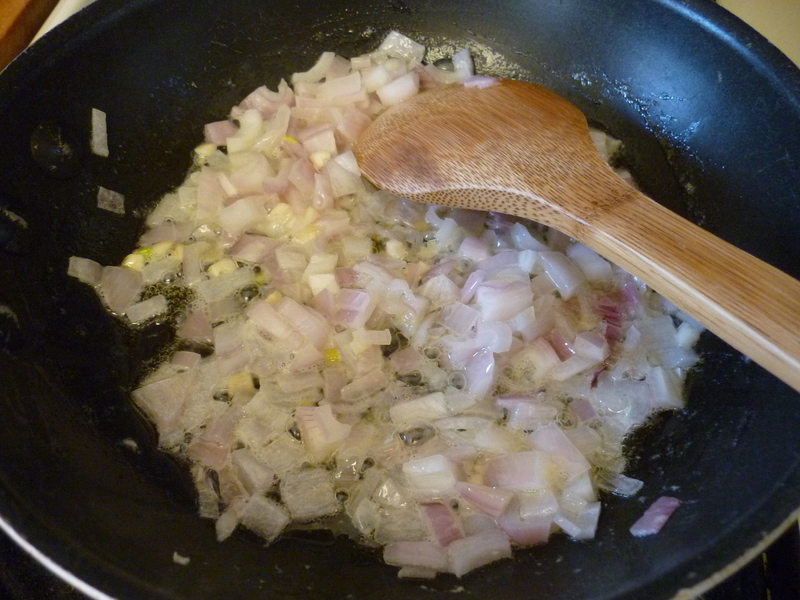 I’ll demonstrate spaetzle in another post one day. 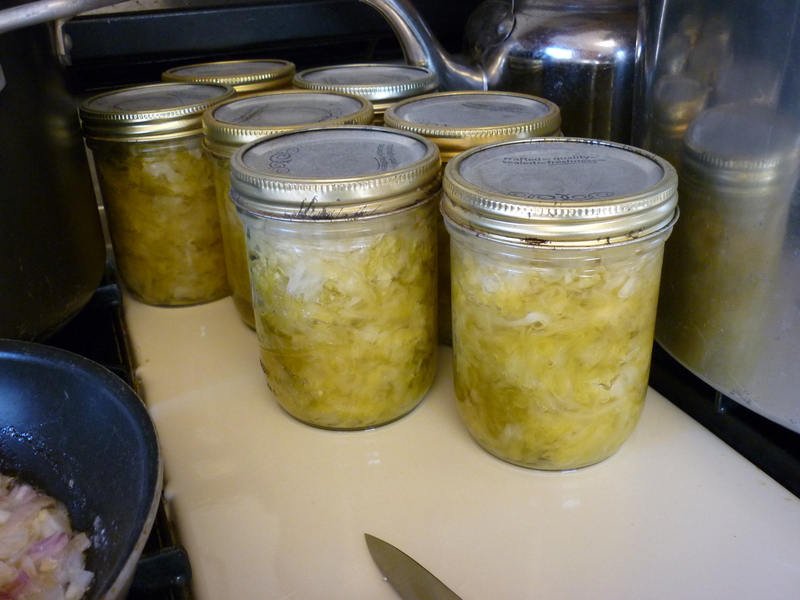 Home made sauerkraut. Yummy. 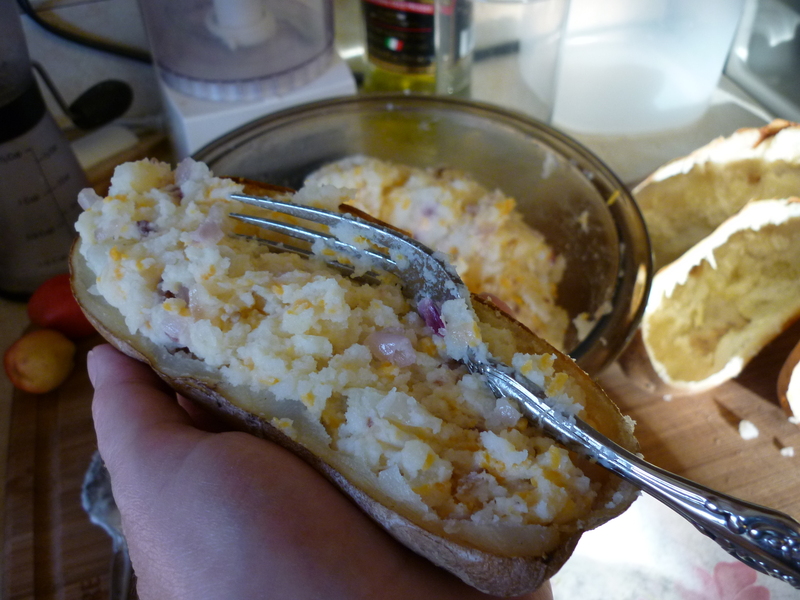 The amount called for in the recipe does not have to be exact, anything close will do. 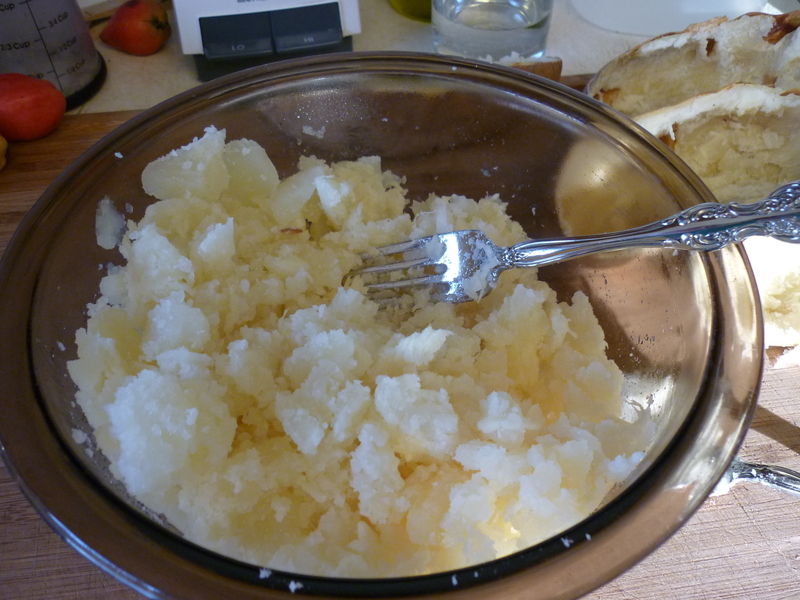 Pour 1 large can (27 oz) sauerkraut, drained, into a colander and rinse with cool running water; let drain. 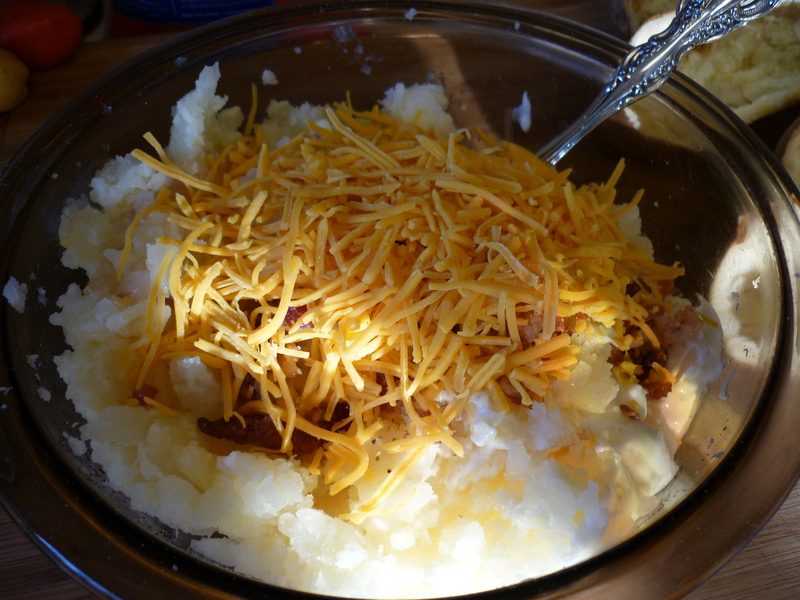 Mix together and spread in an even layer. 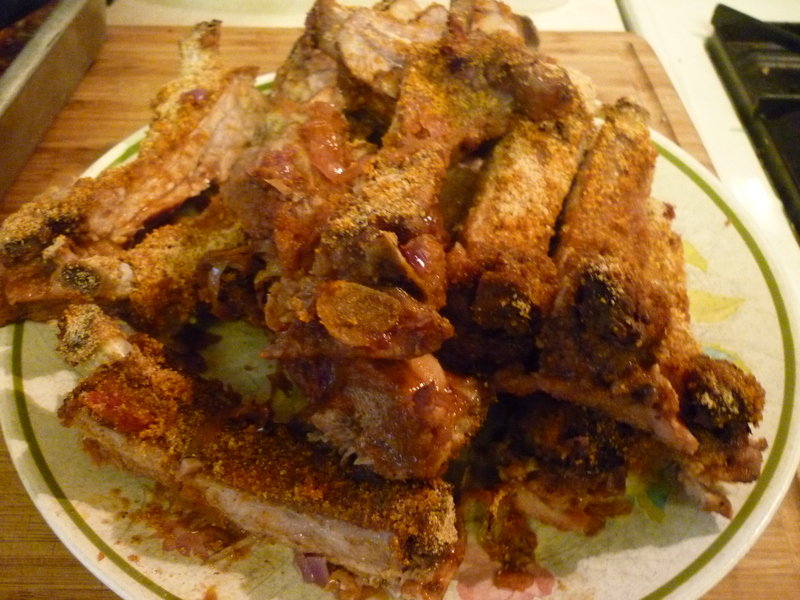 sprinkle meat evenly with pepper and about 2 teaspoons paprika. 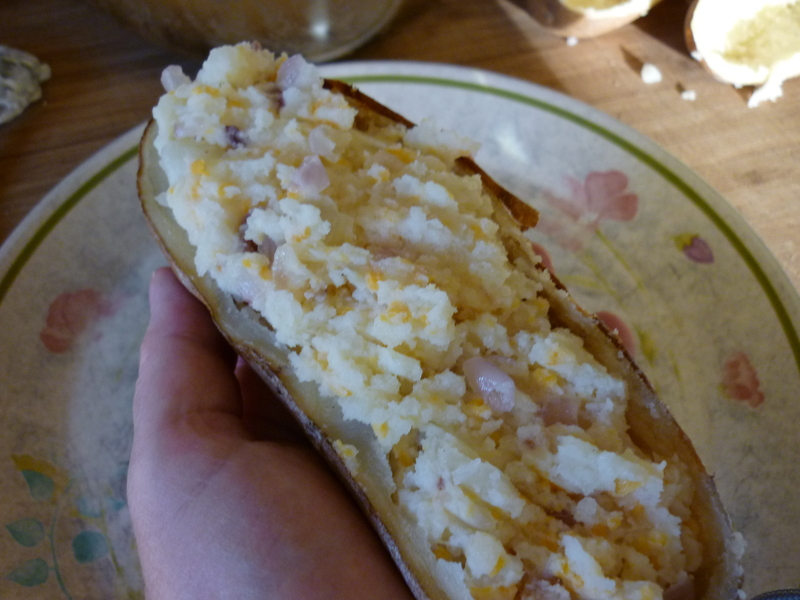 Tightly cover pan with foil. 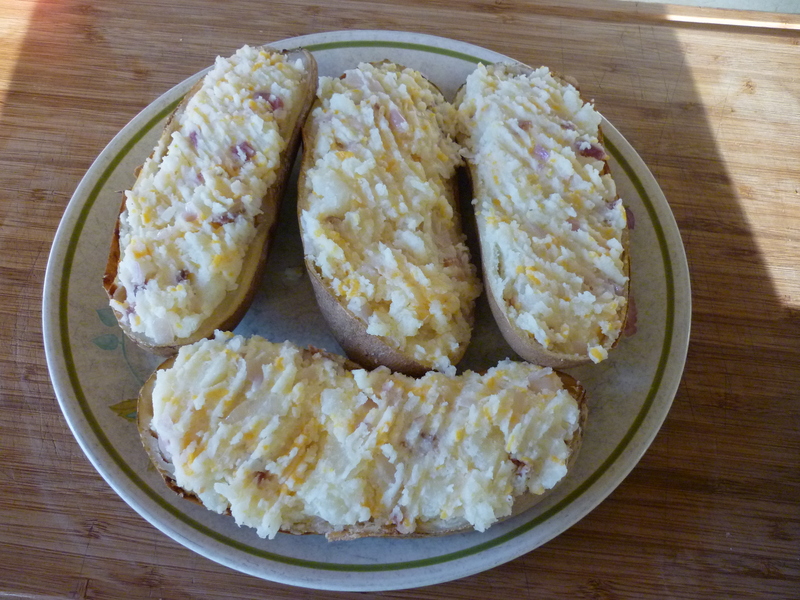 Bake in 375 degree oven for 1½ hours. 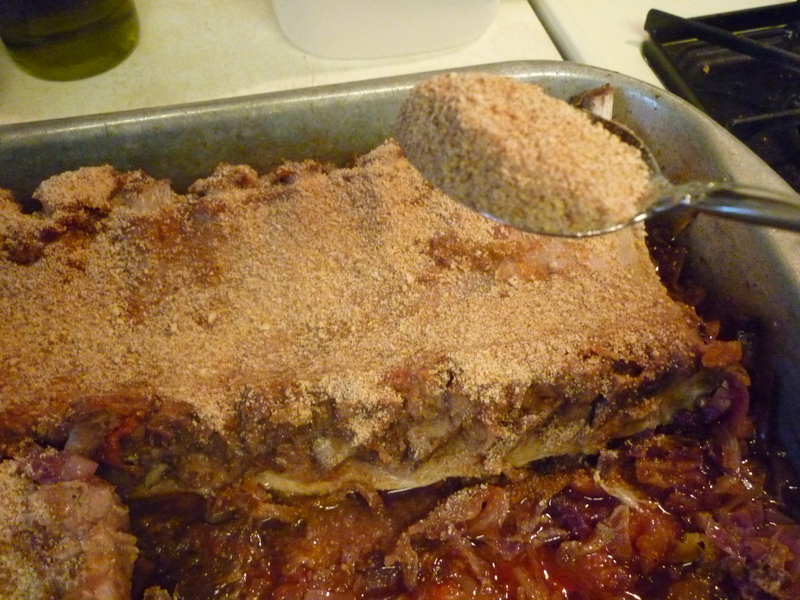 Mix together 2 teaspoons paprika and bread crumbs. 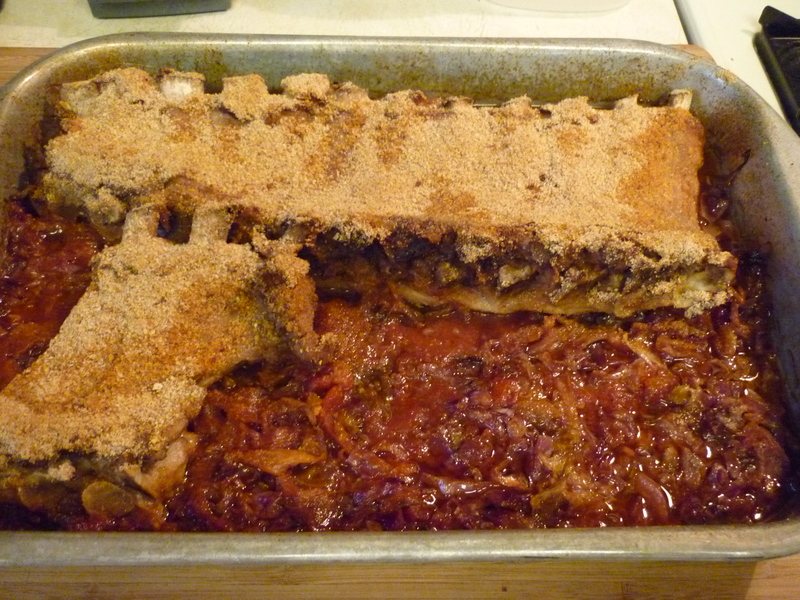 Bake, uncovered, until meat is very tender when pierced and crumbs are brown, about 20 minutes longer. 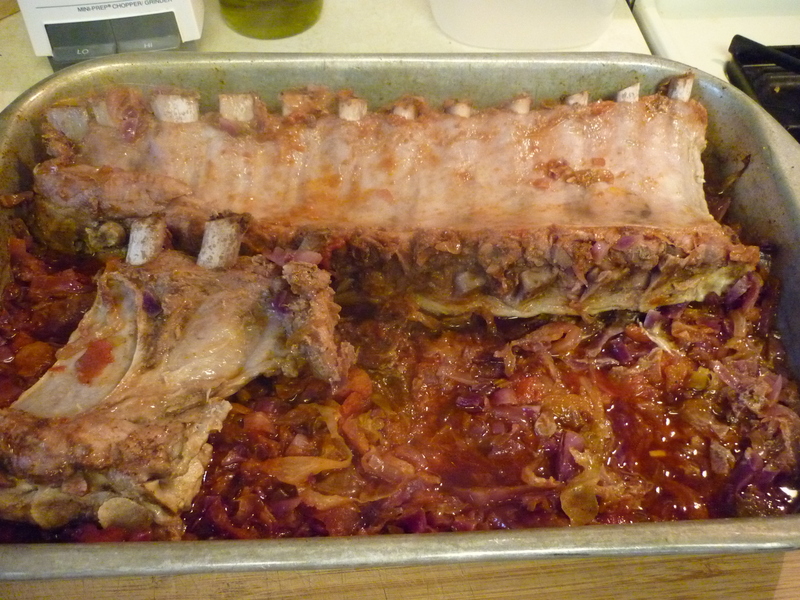 Transfer baby back ribs to a platter and spoon sauerkraut mixture into a bowl. 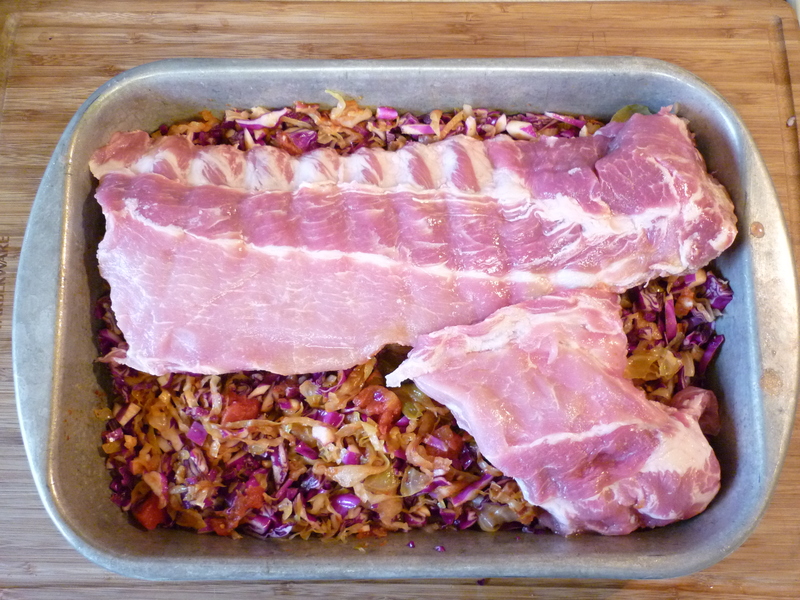 Cut ribs apart and serve with sauerkraut. Makes 4 servings. 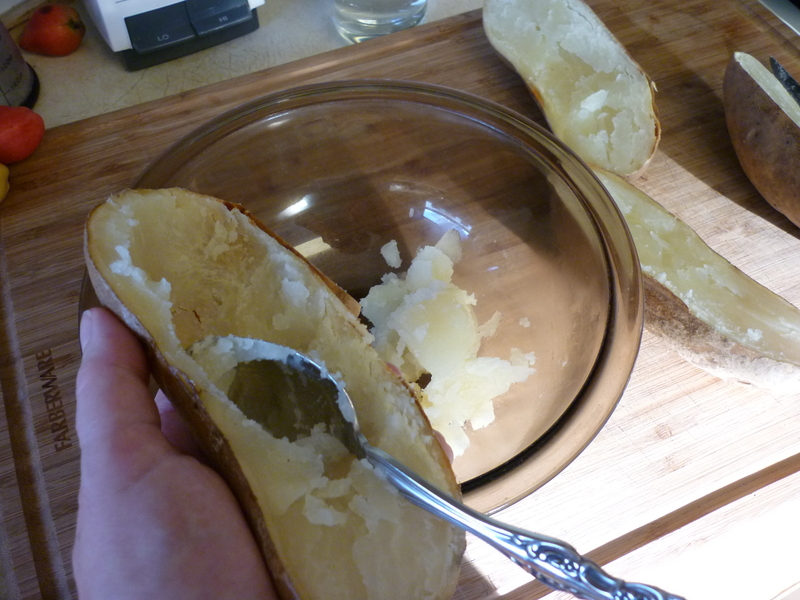 Pour sauerkraut into a colander and rinse with cool running water; let drain. 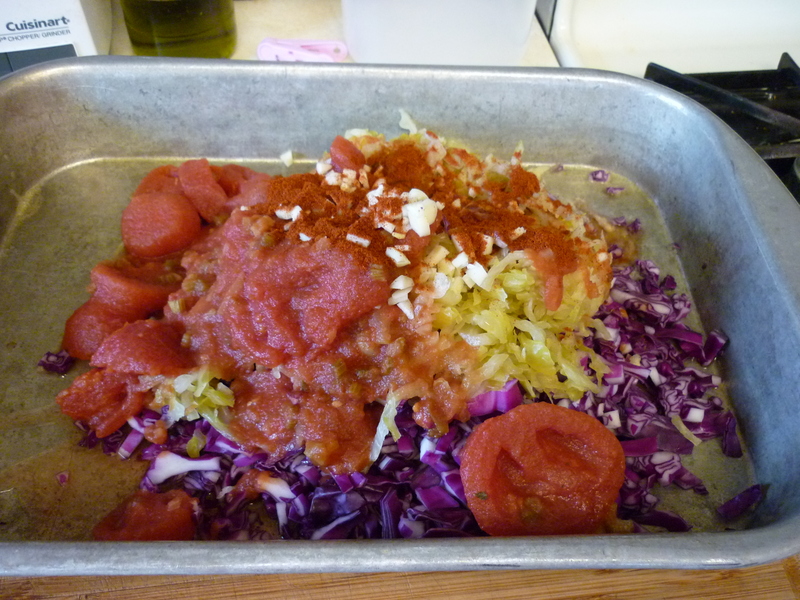 In a roasting pan about 10×14”, mix together sauerkraut, cabbage, 1 Tbsp. paprika, garlic, and tomatoes; spread in an even layer. 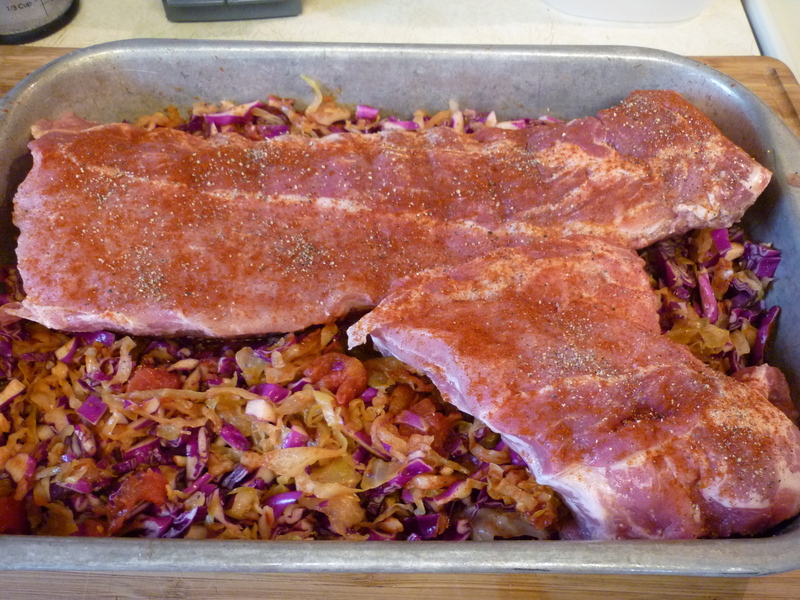 Lay ribs on sauerkraut mixture, curved side up; sprinkle meat evenly with pepper and about 2 teaspoons paprika. 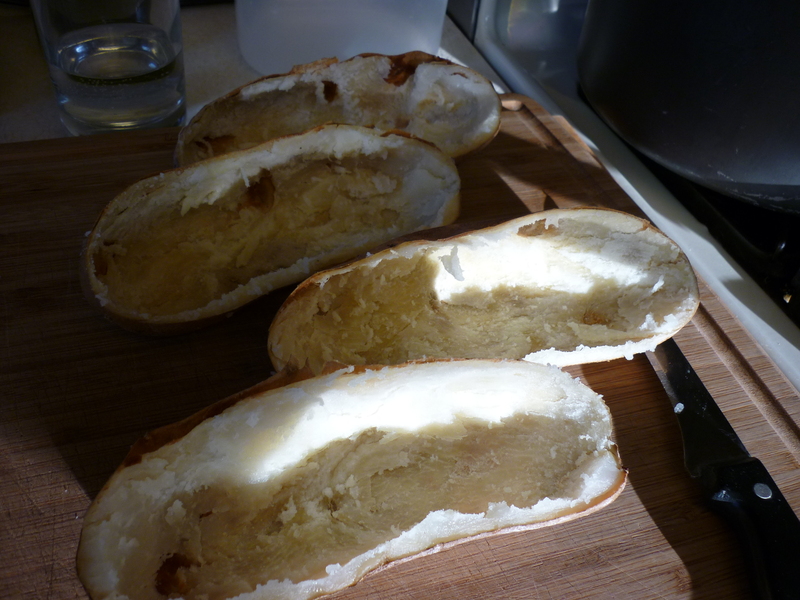 Tightly cover pan with foil. 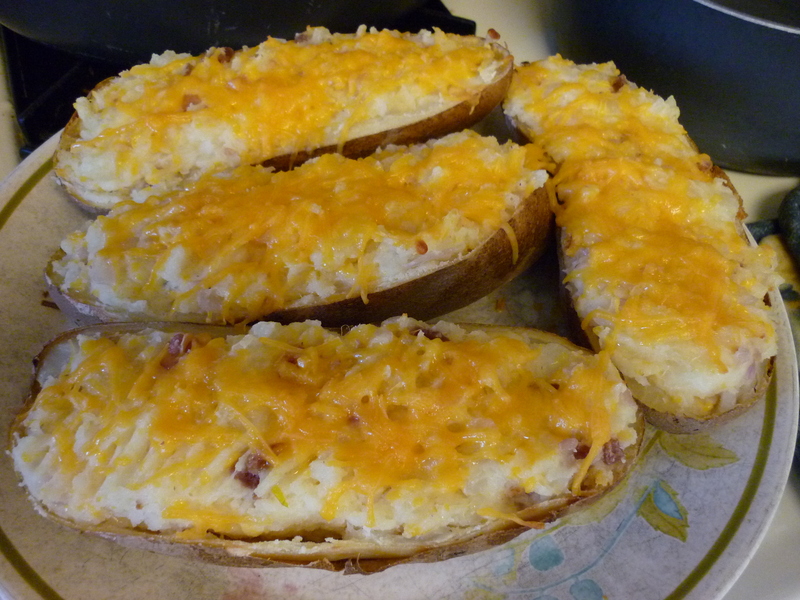 Bake in 375 degree oven for 1½ hours. 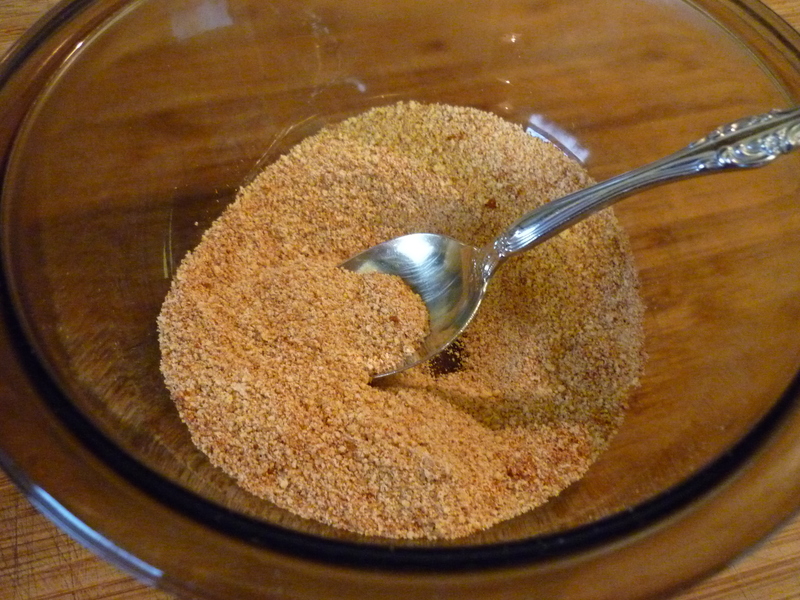 Mix together 2 teaspoons paprika and bread crumbs. 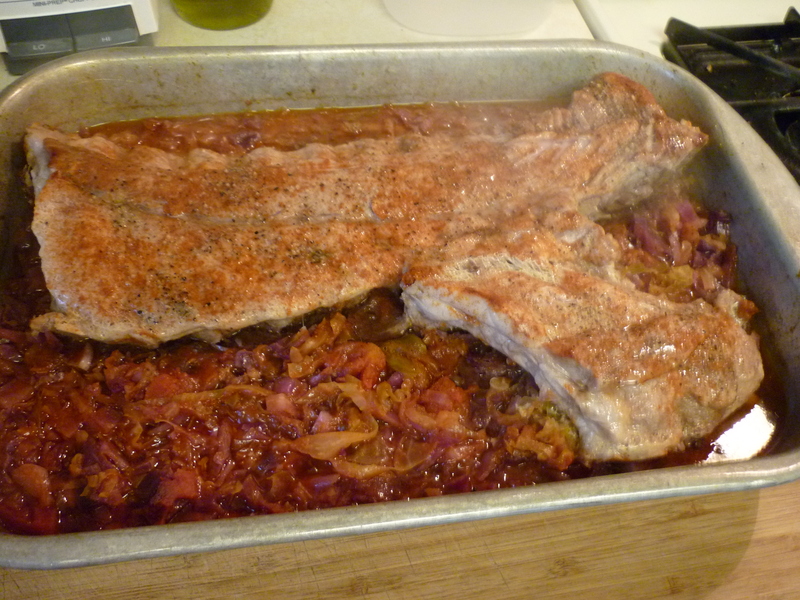 Remove foil, turn ribs over, and sprinkle with paprika mixture.